Ships in a super sturdy box with extra protection to keep this mug safe. If you order with another item, they will be shipped separately to make sure all things arrive in tact. 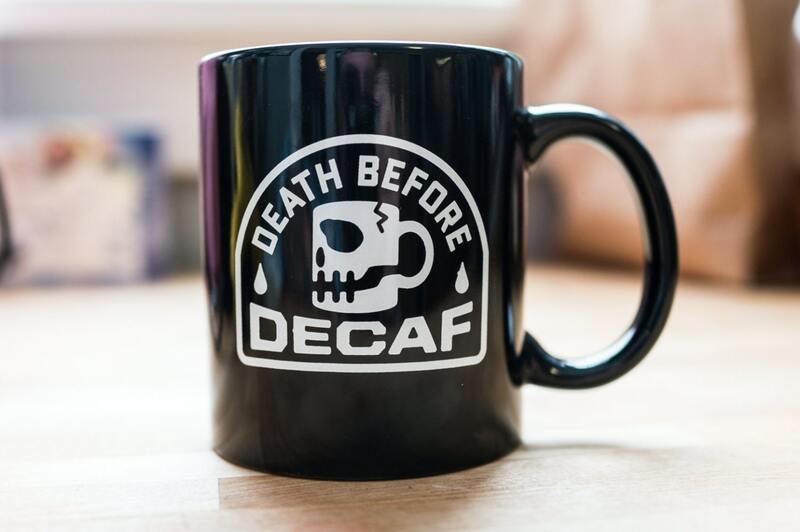 Great, funny, simple mug. 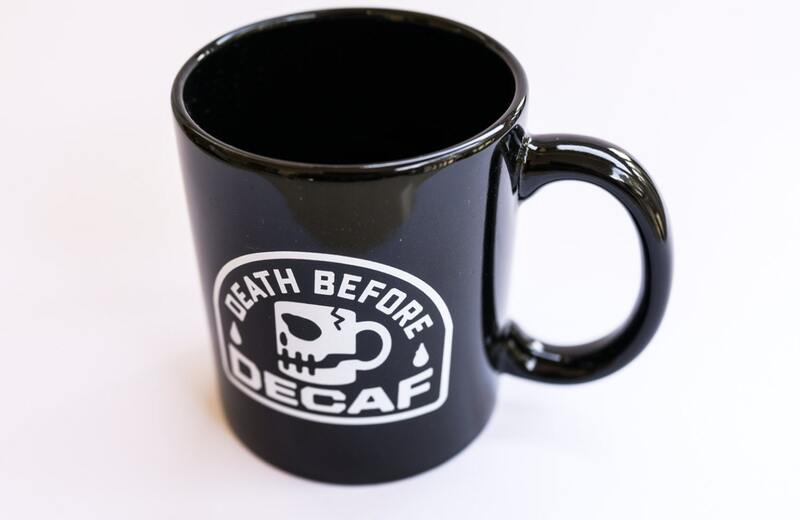 I'm giving it 4 solely because I want to see more mug shapes out of this design -- it's too good not to put on clear glass or stainless steel or more interesting mug shapes. I freaking love this mug. It is wicked. 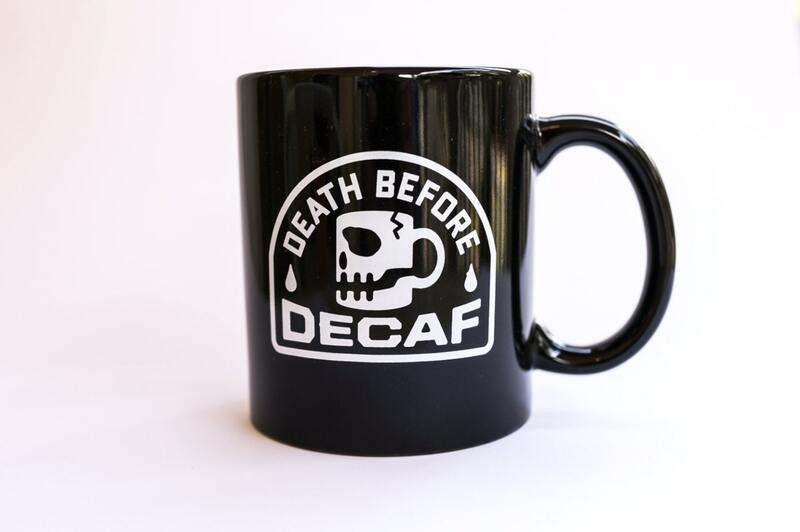 I drink my coffee black and I hate decaf, so it's a perfect fit. It's my new favorite coffee mug. I got 2 free stickers and a collectible card with my purchase. They're nice bonuses and I appreciate the seller sending getting them my way. 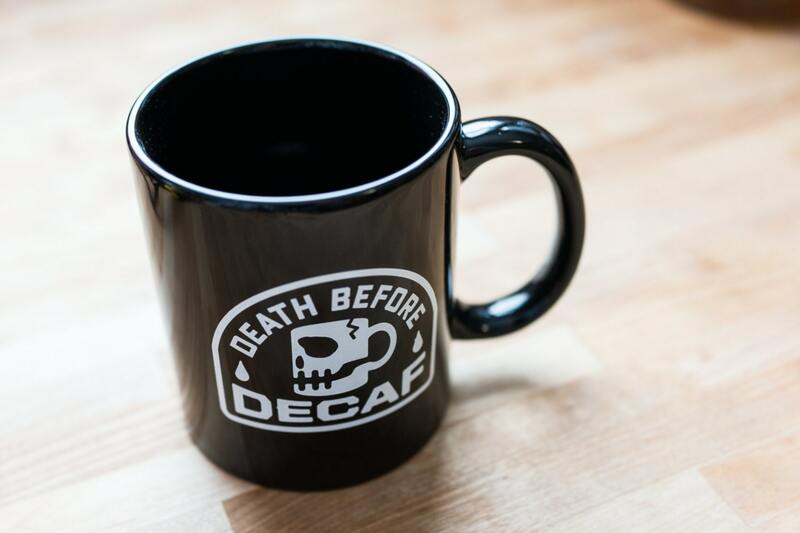 I got the 'Death Before Decaf' and the 'Stay Brutal' stickers. I like them a lot. The mug is a quality piece, it shipped with a lot of protective wrapping, and it arrived pretty quickly in the mail. It is worth the price. Especially, with all of the extras that come with it. I can put it in the dishwasher too without issue. Which is great! Whenever I cannot put a mug in the dishwasher it is a major let down. I am unsure if I can put it in the microwave, but I probably can. I will be back! I'm super stoked that I found this shop and I hope that it expands.